I have decided to share aspects of our home education journey on my blog. I know it will keep me accountable and also reassure me on the days that I am hit with anxiety and self-doubt. I know there are so many parents either interested in or intrigued by home education. There are so many schools of thought on home education but perhaps some of my ramblings can be helpful to someone out there. 1. How we are feeling? Since seeing an Education Consultant, we are feeling more relaxed about the home education journey. We are also enjoying seeing the children have their Christmas fun rather than hearing about it at the end of the school day. I enjoyed watching The Christmas Carol and then looking at the worksheets the children did on the various themes of the novel. I came up with the questions and the children seemed to find them interesting. We will continue working on this novel in a variety of ways and I feel we have made a good start. My daughter has developed a keen interest in geometry and is asking to do more work that I envisaged on this topic. I have learned to follow the children’s enthusiasms and certainly where maths is concerned, I am learning too. We baked some Churros together. He enjoyed spending one-on-one time with me and doing something practical. My daughter made an amazing flapping bird in our origami session. I gave up after a while but she was determined and kept going even after making mistakes. As I have said before, I am learning too! My son cracked an egg without the yolk splitting for the first time. He was over the moon about this. I still find it difficult to know whether it is best to work at set times or to be more random. I still need to plough through the very wordy National Curriculum in its entirety. I want to ensure I cover that at least plus lots of more magical elements too. After Christmas, I want to spend more time with my schooled teenage son both leisure wise and in terms of his education. I want him to feel just as special as the other too. I also think I will feel better if I am having some really good input as he hurtles towards GCSEs. 8. What resource have we found particularly helpful this week? We all love the free online maths lesson videos on Maths Antics. We think the explanations are really clear and delivered in a humorous manner too. The website also includes follow up exercises. We went to see Tinkerbell and the Legend of the NeverBeast. 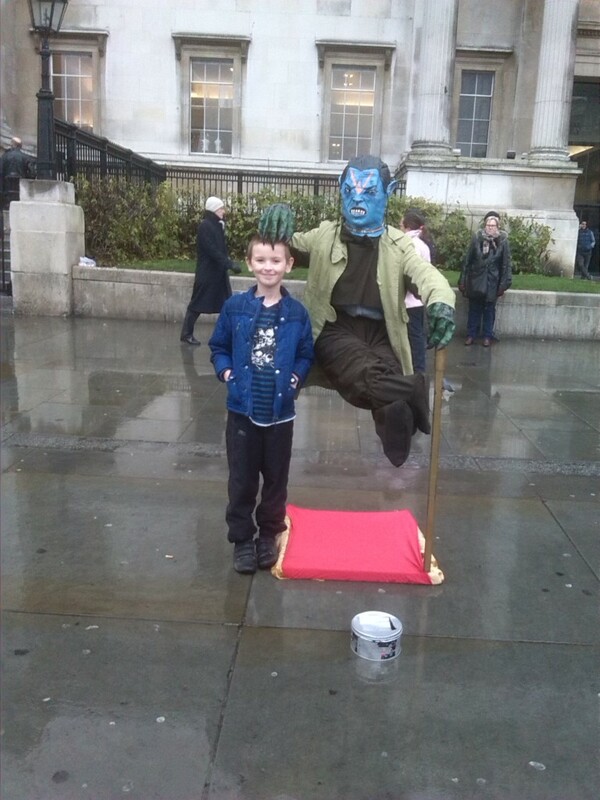 Whilst in London, my son made a new friend. We are going to throw ourselves into all things Christmas including fun with cookery and crafts. We are going to get to know Sweden better. I am going to work through a good percentage of the National Curriculum requirements. I plan to share an image of home education most days and then to write a weekly post on Wednesdays too.